The trouble with psychology is that everyone thinks they understand it. That’s because each of us has a brain, every one of us can observe behaviour and we can all think. What more do you need to know? Well, these days the world of neuroscience is disrupting a great deal of so-called “knowledge” about psychology. Traditional theories of how the mind works are under threat and, thankfully, a great deal of “common knowledge” or “pop psychology” is being debunked. Do you reckon there are “left brained” or “right brained” people? Think again. That’s nonsense; we all use all of our brains. Do you think that we only use 10% of our brains and the rest is “waiting to be filled”? That’s just plain daft and neuroscience shows that your whole brain is being used. After all, it would not make evolutionary sense to create a massive organ, requiring vast amounts of oxygen to keep it alive, only for it not to be used. More and more of these popular myths are getting debunked at the same time as businesses are demanding to know more about psychology. That’s because some traditional marketing has been based on these out-dated notions of what makes people tick. These days, a business cannot afford to use old-fashioned ideas or poorly substantiated notions. After all, if you say something in a meeting that is based on “pop psychology” someone can look it up on Google on their phone and tell you within moments that you are talking tosh. Psychology is important in business because every business involves people somewhere – even robots have to be designed and programmed by people. The owners of the Japanese hotel staffed by robots have to understand how people will react with such objects. Understanding people is necessary in sales negotiations, in marketing and in internal communications. Try getting your employees on-side with a major change if you haven’t taken into account how they will react to your plans…! In the world of technology, it might seem that all that matters are programming, code and data storage. But how people use technology and how they react to it is fundamental if the technology is to engage those individuals. One of the fastest growing areas of work in the high-tech arena is “UX” or “user experience”. There is hardly an area of your business where psychology does not play a role. In the world of careers exhibitions, for instance, it might seem that all that is needed is an understanding of the space, the lighting and the size of stands that exhibitors might need. As GDH Consulting points out in this article on event psychology, you can use psychological tactics to ensure that people walk around an exhibition in the direction you want, as well as linger over the stands. Similarly, if you were in the skin care business you would want to make sure that you tapped into psychology, advising people on the psychological reasons for looking after their skin. In doing so you help customers understand the issues involved, but you would also be demonstrating how well you understood your clients. 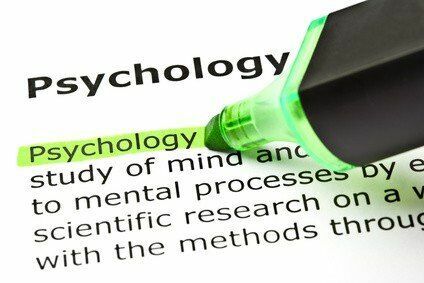 If you ran a personal injury law firm, psychology is also important to your business. There can be long lasting psychological impacts of injuries which would mean specific issues for your clients. By showing you understand these issues, you confirm how well you understand your clients. Whatever business you are in you would also want to ensure that your staff remain well and fit to work. But ensuring that happens means it is essential to understand the behaviour of your employees. These days, for instance, they tend to search for health information on the web, so realising that workplace wellness starts online is fundamental to demonstrating you understand your team. The more you show you understand them, the more they like you and your company. Even if you are in the technology business, you need to demonstrate a psychological understanding of your sector. As the data company Podbox showed recently, there are psychological reasons for integrating data services. This shows the company understands its customers at a different level to many other technology firms. Showing that you understand your customers is essential to any business. But these days you need to demonstrate real depth of understanding. It means thinking about the psychology of your products and services as well as the behaviour of your customers when they use or access such things. In order to distinguish yourself against the competition, the main way these days is to show how deeply you understand your customers. That means really knowing what they like, how they behave and what they think. In other words, the best way that businesses can demonstrate they truly understand their customers is to invest in psychological analysis. Online that means using eye-tracking studies, split-testing things to see likes and dislikes, as well as researching customers through focus groups. The more you can get inside the mind of your customers and not be taken in by the myths of pop-psychology, the more you can provide them with exactly what they want, thereby improving your business.